This 2003 edition book is $4.89 on Amazon. Contents: priceless. There is a science that deals directly with how organisms learn and how to use that information to change the environment in order to change behavior. It’s called applied behavior analysis (ABA). It is the applied version of behavior analysis, which was referred to as the experimental analysis of behavior earlier in the 20th century. It is descended from the work of the behaviorists such as Skinner and is a sub-discipline of psychology. It is a rich field of study. Universities offer graduate degrees. At the same time, it is approachable. Many of the entry-level ABA college textbooks currently in use are readable to someone with a strong high school education and certainly to someone with a college education. They are generally self-contained, in that they don’t require a lot of previous exposure to terminology to be able to work through. The books contain fascinating information about what makes us tick, why we do what we do, and how we might go about changing behavior if we needed to. They also teach skills in ethics and kindness. Like any field of study, ABA has its own terminology. When we first encounter it, two things typically happen. First, we think we know it already. Who doesn’t know what punishment is, right? Motivating operation—doesn’t sound too hard to figure out! Then we go a little deeper, and even though the words are familiar, the concepts may not be. Some are extremely unfamiliar. That can cause dismay. 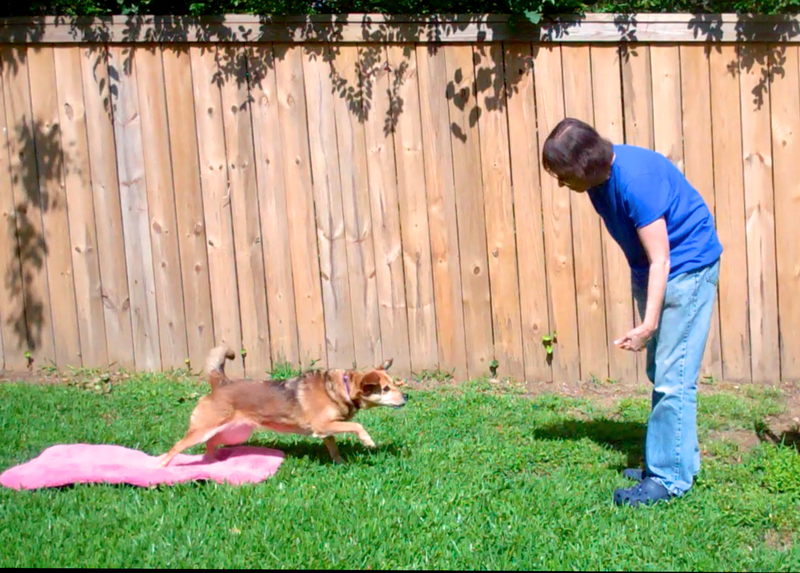 One of the problems in the dog training world is that a lot of people get stuck at that point. Skinner was familiar with the bump in the road when we begin to learn about behavior. Even though the texts are readable, the words are familiar, and the topics are fascinating, there is some work to be done on the front end before you get to the really juicy stuff. But a layperson can get there with careful study and attention. So here is this rich academic discipline that is rigorous, approachable, and applicable to daily life. It doesn’t discount other scientific disciplines covering cognition. It provides a great “on the ground” view of behavior that can mesh with and inform other study. But what has tended to filter down into the dog training world from ABA is a piece of a piece of a piece of the discipline, with a bit of a misnomer to boot. Behavior analysis covers all types of learning, including respondent, operant, and other types (e.g., habituation and sensitization). Let’s talk about operant behavior for a moment, since that’s the part that usually filters into the training world. (It’s not the only part we need to train dogs, though!) There are four contingent processes of operant learning that are often grouped into a table or list: positive reinforcement, negative reinforcement, positive punishment, and negative punishment. See my article for explanations and video examples. Contingent in this context refers to the relationship, or dependency, between behavior and consequences. There also exist operant behaviors that don’t have this type of contingency. The operant contingencies are presented in a number of different ways in learning and behavior texts and articles, but generally over several chapters. Sometimes positive and negative reinforcement are grouped together. Sometimes negative reinforcement and positive punishment are grouped together since they involve aversive stimuli. Sometimes operant extinction (see below about extinction) appears with punishment, since both decrease behavior. Sometimes it merits a whole chapter of its own. In textbooks, the charts or summations are generally presented after the learning processes have been discussed. They come after the student has gotten a chance to get familiar with the processes. Here is a link to a contingency table from a publicly available slideshow (since I can’t copy one from a textbook). Most books on ABA have such a table or list, but they don’t always look exactly the same. But they convey the same basic information. Now, here’s a problem. 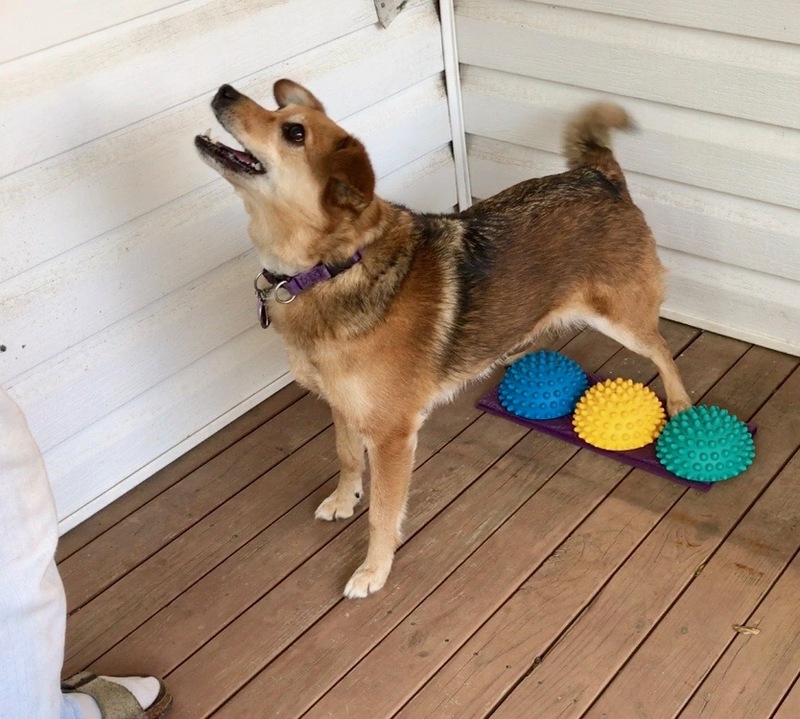 In the dog training world, the material that is usually presented over several chapters in a behavior analysis textbook is frequently reduced to one of these tables or lists. And for the last 20 years in this world, the shorthand for referring to these four learning processes has become “the quadrants.” This is not the way ABA people usually refer to these processes. More often it is described as a “contingency square” (Chance, 2013) or a 2×2 matrix (Mazur, 2016). It is a convenient depiction of two related variables each with two levels, i.e., function (increase and decrease) by operation (add and remove). At some point, people started using the term “quadrant,” i.e., the cell in which the term appears in this classification scheme, to refer to the contingent learning process itself. To me, it is important to remember that the definition is more than the quadrant, cell, or sector it lives in. It’s a real-life process. If you want to use the best terminology and be understood by people certified or degreed in behavior analysis, instead of saying “quadrants,” you can instead refer to the “contingent processes of operant learning.” I dropped the “quadrant” terminology a few years back after I started talking to more ABA people, some of whom had not even heard the expression. At first, it was awkward. It’s a shortcut that virtually everybody in the dog world uses, and some people don’t know any other name for it. But after learning to use different words it now seems odd to me to refer to a learning process as some kind of area on a grid. As one-fourth of something. Most important, dropping that term filtered some of the mud from my understanding of learning science. But there’s a worse problem than the propagation of idiosyncratic terminology. It is that people assume that the chart of four contingent processes that makes its way to the dog world represents the sum of learning science. Many think that with only the information on that chart, they can go ahead and use (or criticize) behavior analysis. But unless they have been well taught through coursework and self-study, their understanding of how these processes work is often scanty and insufficient. (I know because I’ve been there.) There are more processes to learn about. Between getting limited information and the irritation of having to use terms that mean something different in everyday English and can be counterintuitive to boot, people discount these basic building blocks. So we will read diatribes about the “limiting nature” of these particular operant processes. Even claims that using the contingent operant learning processes to learn and to classify behavior is somehow evil. I understand these criticisms because I’ve been there myself. There is help for the people who make these claims, though. The help is to get a learning and behavior textbook and read it. Or take a Behavior Analysis course at a university. Or take Susan Friedman’s professional course. The four contingent operant processes are necessary but not sufficient to apply the science of behavior analysis. They are but some of the basic building blocks to master before you can get to the juicy stuff. But in my experience, it’s best to know them cold before you go on to the treasure trove that lies beyond. There are some important learning processes that aren’t in that chart. One important one is extinction. It’s an operant process (and also a respondent process, but let’s not go there now) and often has its own whole chapter in a textbook. It’s complex. But it’s not on most of the charts that filter into the training world. The result is many dog trainers assume that if a behavior decreases, it must be due to punishment. In extinction, the reinforcement that was previously maintaining a behavior is withheld or no longer present. You need to know about extinction and in particular how it relates to reinforcement if you are to use the basics of behavior analysis to train animals. Also important to know about are recovery from extinction and the two forms negative reinforcement takes: escape and avoidance. Avoidance is such a complex process that learning and behavior books often have a whole chapter on it. It will lead you into some of the more fascinating riches in ABA, including more ways we learn. And there are still more processes I have not listed here. What’s Missing and What Happens as a Result? Summer hasn’t learned what the desired behavior is yet, but she is happy to work on it. Typically people get into trouble if they assume that the contingent processes of operant learning are all there is to behavior science, or if they think they can safely extrapolate the rest from their own knowledge (aka preconceptions) without learning more about ABA. I have identified four omissions that create common errors that lead to claims that these learning processes are “too vague” or “have many gray areas” or make other claims that are based on assumptions and not learning science. I have committed all of these errors. I will be expanding on them in a separate post, but here’s a quick list. First, to analyze behavior we need to identify an antecedent, a behavior, and a consequence. This “ABC,” not the four-part chart or one of its cells, is the basic unit of behavior. Many claims that the processes on the chart are problematic are from scenarios where only two of these three items have been identified. There is insufficient information. Second, in behavior analysis, we start by identifying and describing a specific behavior. That sounds simple, but it’s not, at least at first. If you start anywhere else, you are instantly off the path and into storytelling and conjecture. Fourth, we need to be clear that the plus (+) and minus (–) symbols that are used describe the operations, not values. Positive in this context means the behavior produced the addition of a stimulus and negative means the behavior removed a stimulus. A “quadrants” chart is not the only gateway into the world of ABA but it is a working gateway. The contingent processes of operant learning are necessary—but not sufficient—to analyze behavior. Many of the criticisms of the quadrants come off like questions from someone who has memorized the periodic table of the elements but not taken a chemistry class. (Ahem—I’ve been there, too.) How can radon have a larger atomic weight than lead when everybody knows radon is a gas? Learn more about chemistry, and you will know. In behavior analysis, you need the definitions, and memorizing the four processes of operant learning with contingent consequences is a great start. But they are not useful until you know how to apply the information. To correctly use the periodic table to help build an equation, you need to study chemistry. 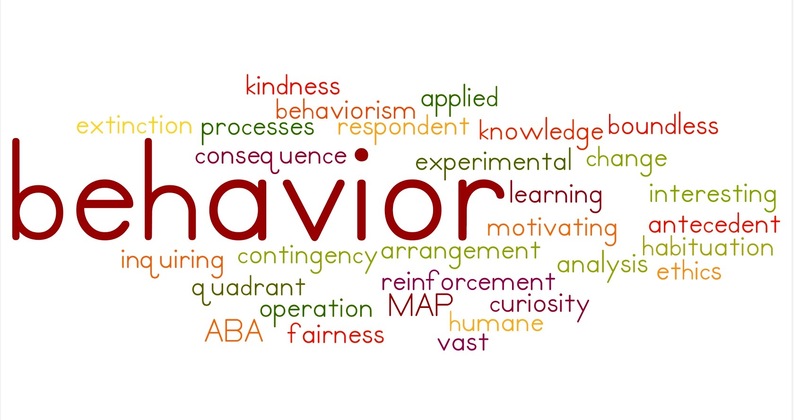 To learn the long list of operant processes (of which contingent consequences are only four) and effectively analyze and change behavior humanely you need to study ABA. This post replaces a previous one that I removed because it was causing confusion and being misapplied. This was because of some poor choices I made, including that the title was misleading. Also, there is a ravenous audience out there in dog blog land that is hungry for criticism of “the quadrants” and they believed that was my point. I’m really sorry I provided fodder for that. It was the opposite of my intent. In that post, I focused more on the terminology problem of “the quadrants” and less on the larger problem—that people in the dog training world tend to think that’s all there is to learning science (and many don’t even understand that part). And I committed the writer’s gaffe of claiming some terminology was wrong without suggesting how to make it right. Also what that post did not convey is how gratifying it is—and fun—to progress in the understanding of ABA. To have epiphany after epiphany. How it can enrich one’s understanding of behavior and the animals and people around us, and help us make informed and kind decisions if behavior needs to be changed. From ABA I learned that intervening in the behavior of another is a serious step that carries responsibilities. It usually entails preventing them from getting something they want in a way that is natural and works well for them. To interfere with that that bears an ethical weight. I’m reading further in behavior analysis and getting even more guidance on that front. The quadrants, by any name, are necessary to an understanding of ABA. But they are just the beginning. Big thanks to Debbie Jacobs, Yvette Van Veen, Kiki Yablon, Randi Rossman, and Susan Friedman for discussions about the previous post and/or suggestions about the current one. As always, all mistakes are my own. Chance, P. (2013). 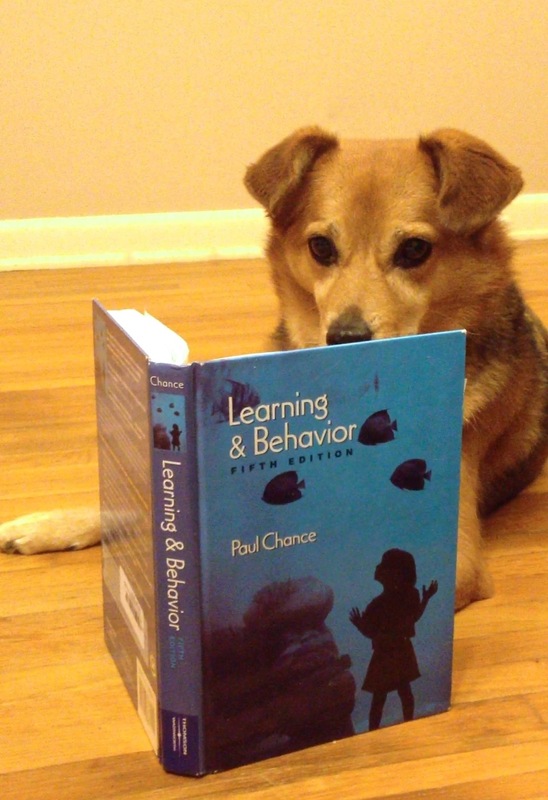 Learning and behavior. Nelson Education.